If you're familiar with my blog, you'll know I'm a big fan of re-reading. I love returning to tried and true titles; delving in to the comfort and joy of a well loved book. I know re-reading isn't for everyone, but the number one thing I encounter when mentioning re-reading is 'how can you read the same book multiple times?'. With every re-read of a book, I get a whole new experience out of it. It's like checking in with an old friend that you haven't heard from for a while - a treasured encounter. Although I love re-reading, I feel like I haven't done much of it in a while. 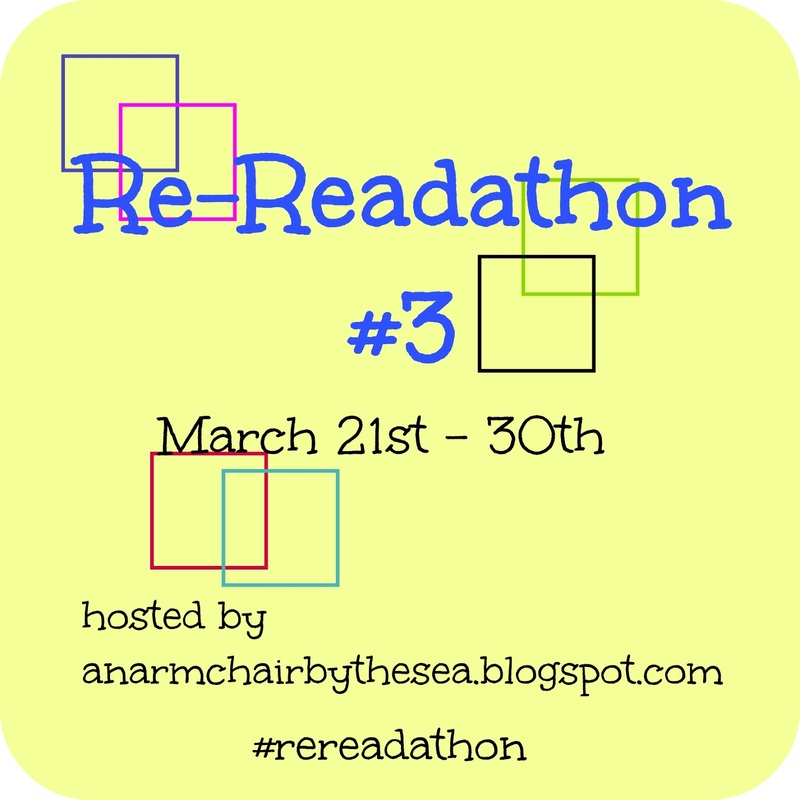 So when I stumbled upon Re-Readathon #3 via a tweet, it couldn't have come at a better time! Hosted by Bex over at An Armchair By The Sea, the event will take place March 21st - 30th, with signs up open now - go join!! This is my official sign up for the Re-Readathon, and so I thought I'd share a couple of goals here. The event itself isn't very strict or confined, there aren't really many rules as such, all you've got to do is re-read. You don't have to commit to only re-reading for that 10 day period, but to pick up some old favourites here and there. Personally, I think I'll spend the entire 10 days re-reading. I've had a little look over my shelves and have picked a couple of titles that I hope to return to during the readathon. I picked this book up off my shelves not too long ago, and so far have got round to reading just the one story - The Woman in Black. The bind up contains five ghost stories written by Susan Hill, all of which I've read before. I'm revisiting them because last year I switched my individual editions to this bind up, and I can't add an unread book to my regular shelves until it's been read. Also, at the start of February we were experiencing the kind of wind howling, rain falling weather that felt fitting of a ghost story. I've read this book a couple of times now and each time I fall in love with it a little more. It's kind of a whimsical story, but I think that's what I love about it! For a long time Jodi Picoult was an auto-buy author of mine, but sometime over the years we lost that connection; I don't know if it was her writing, or my reading. Anyway, I no longer have an entire collection of her works. When decluttering last year, I decided to break up the collection that I did have, and only kept the books that I truly loved and thought I'd re-read (that's kind of the policy I have for my entire book collection now). I haven't re-read Plain Truth since I first read it, I don't believe, and so what better time to revisit the story. Also, if possible, although unlikely, I'd like to pick up Room by Emma Donoghue too. With the film out now, and a lot of people picking up the book, I kind of want to delve in again. I mean, it's highly unlikely because I think I'm already being ambitious with the above titles, but we shall see. I've linked all of these book titles to Goodreads in case you're interested in reading a little more about the books themselves. I'm super excited to be a part of this event! 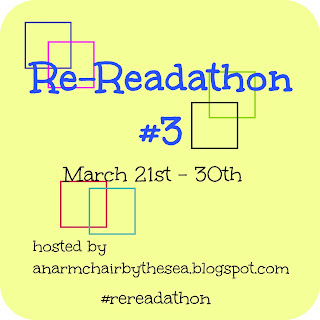 If you're interested in signing up for Re-Readathon #3, you can find all the information here. I know re-reading is different for everyone, but in my experience, I only end up loving a book more after a re-read. Ah, I hope you sign up!! I'm intrigued as to what series you'd like to re-read. Haha - I'm not sure how far I'll get in 10 days either, but I couldn't pass up this event! I'll be surprised if I finish all three books in the time frame, but I think it'll be a fun challenge. I can't seem to get into re-reading. Only one book 'Dibs In Search of Self' has ever pulled me a few times, and that may only be 3 times. I am still intrigued with Room maybe I will read that this year. Jodi P for me was either love it or 'hate' it, I couldn't do it anymore but I want to try Nineteen Minutes which seems to be most readers favourite of hers. I read Room quite some time ago now and absolutely loved it - I've heard that it can be hit or miss though, especially lately with the film hype. Nineteen Minutes is actually my favourite of Jodi Picoult's novels too, and I was very close to re-reading that for the re-readathon, but since I've re-read that quite a few times I thought I'd give Plain Truth a re-read. I'd highly recommend Nineteen Minutes. The Storyteller was pretty good too. Thank you so much for letting me know about Re-Readathon. I am surely going to sign up. And, your list is wonderful. I have Picoult's 'Harvesting the Heart' alone, and I loved it. This will be my first time participating, but it sounds like such a wonderful event - especially if you love re-reading! Excited to have you joining us! I love I Capture the Castle - haven't re-read it since I was a teenager, but I adored it then, and Jodi Picoult is a big favourite too. Happy re-reading! Happy to have stumbled across the event!! Thank you! Wow, this is exactly the opposite of how I read! Whenever I read reviews of past favorites, I want to revisit them, but I can't ever bring myself to do it. I'm always afraid I won't love them as much anymore and I have a hard time re-reading when there are so many new books out there. I'm a little bit jealous of people who are re-readers though. It seems like reading a book for a second time could allow you to get more out of a book and read it more deeply. I'm not gonna lie, one reason I re-read is because I forgot a lot, especially the little details, and so every re-read is like the first reading experience for me!! This is probably the most I have reread in a year ever. I always want to reread but shiny new books take my attention away! Haha - I totally understand that! !